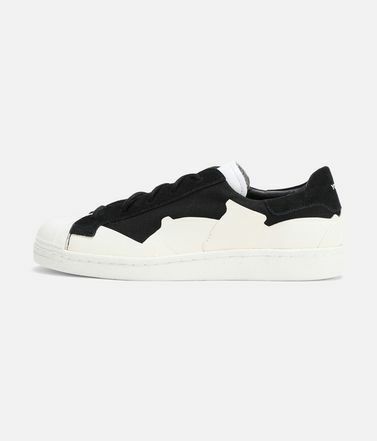 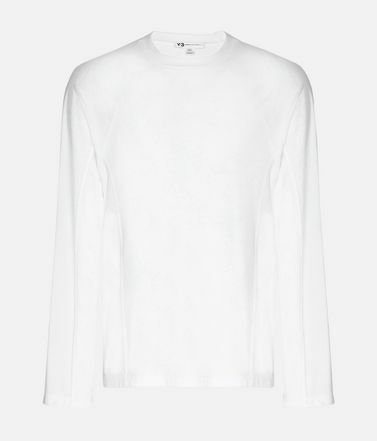 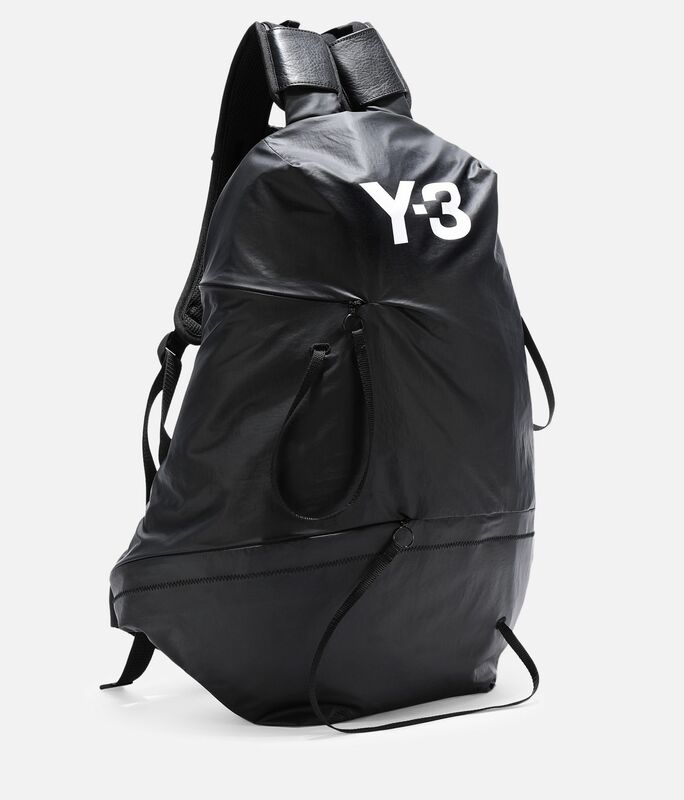 This season, Y-3 draws inspiration from the lightness and lift of sailing and parachuting. 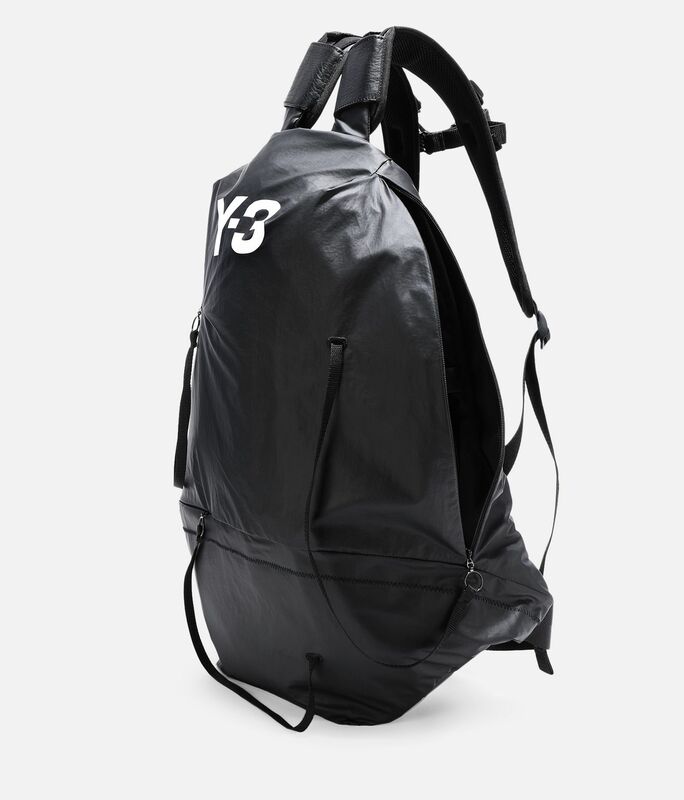 The daring Bungee Backpack is crafted of smooth, high-tech nylon. 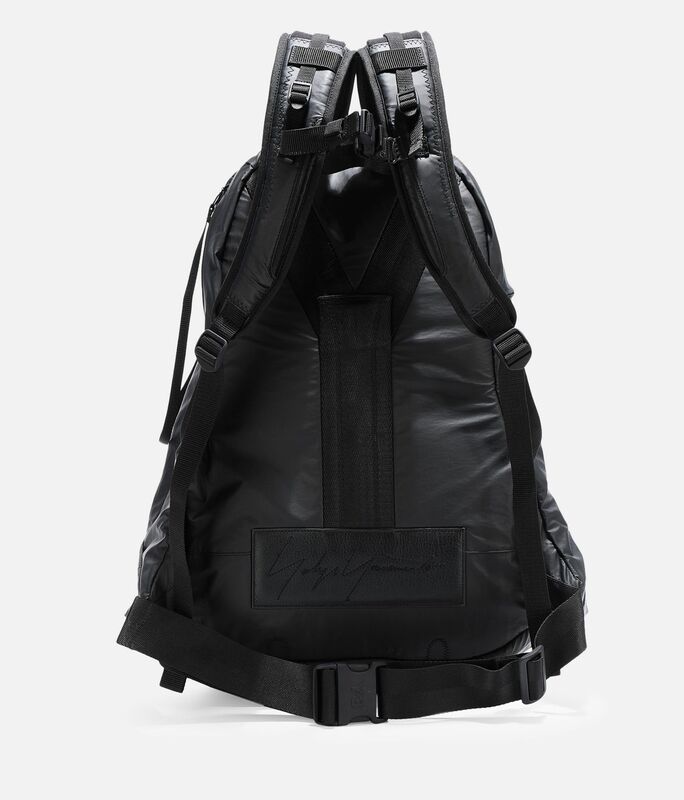 Draped sailing cord details lead to zips that reveal hidden pockets. 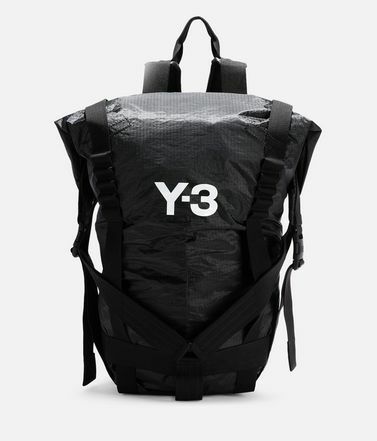 A chest strap completes the sport-driven look. 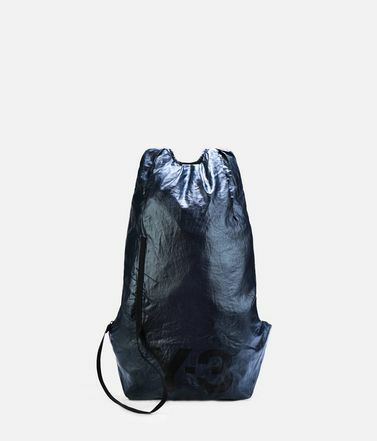 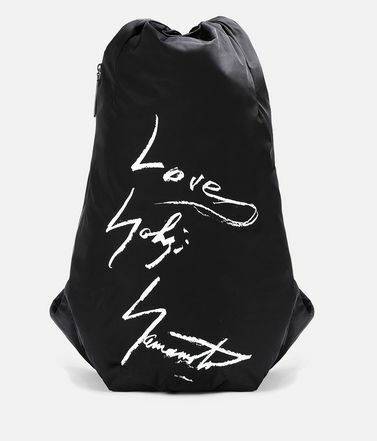 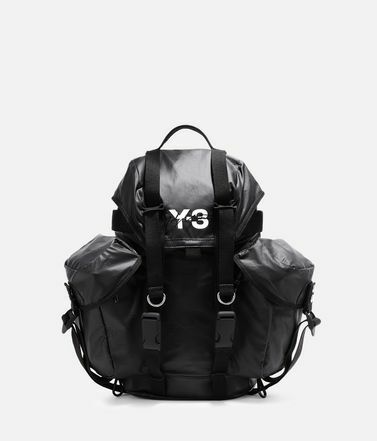 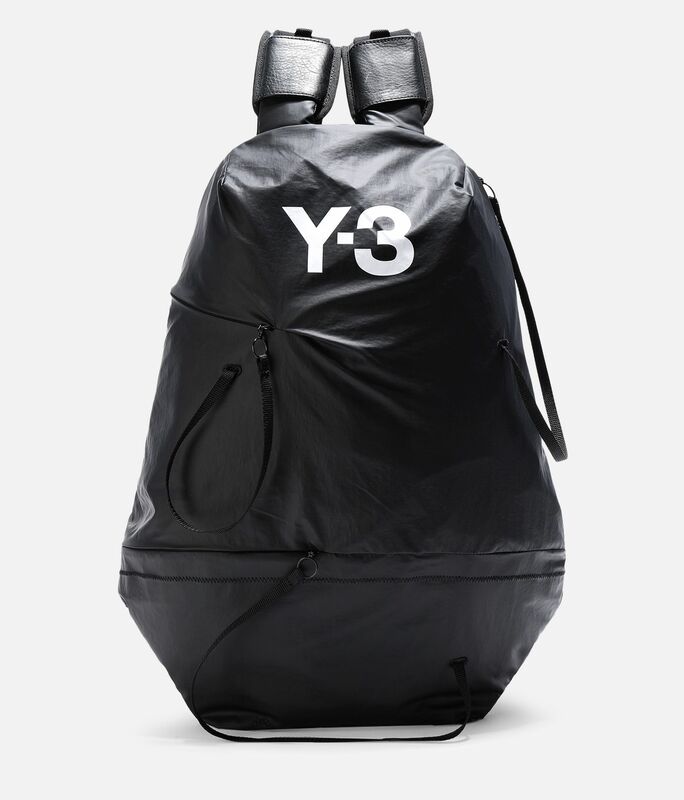 Hidden zip pockets; Inner zip pocket; Padded laptop compartment.Padded adjustable shoulder straps.Chest strap with buckle closure.Y-3 logo.Dimensions: 27 cm x 52.5 cm x 1 cm.100% nylon woven.